Find your perfect shampoo and conditioner no matter your hair type with Function of Beauty's personalised hair care. Take the hair quiz and subscribe to receive regular hair products that are as unique as you. Browse the Function of Beauty range via the 'Shop Now' button to earn Cashback on all of your shampoo and conditioner purchases. 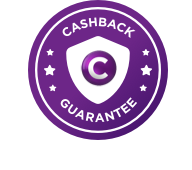 Cashback is only payable on one off purchases and the initial purchase when signing up for a subscription. Take the Hair Quiz and get 10% off when you order your personalised prod..